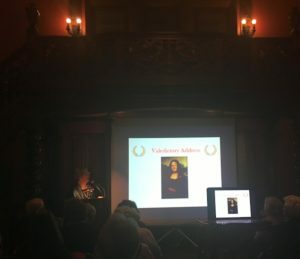 On February 22, 2018, EHC costume curator, Janet C. Messmer gave her “valedictory address.” It was a bittersweet event and a wonderful presentation. You can listen to it in full here. Thank you, Janet, for 27 years!